The Yonex Voltric 5 badminton racquet was introduced at 2011 All Englands, almost under the shadow of top-of-the-range Voltric 80. Voltric racquets have been a huge success for Yonex, combining several technologies which have received world-wide acclaim. Voltric 5 is the last of the current Voltric range for review and it’s also the least expensive. The Voltric arrived in a full length bag, which is now standard for the Voltric range. Yonex have continued to improve on the graphics and Voltric 5 is very striking in black with yellow graphics. In my opinion, it’s a good looker and more striking than Voltric 7. This particular model is only available in 3U (weight 85-89g) in UK, and grip size G4 which is the smaller of the grip sizes on offer in UK. The Voltric range is a combination of Armortec, Nanospeed and Arcsaber science. So far it’s worked remarkably well on the high end Voltrics. But, what about Yonex budget end models? The frame is noticeably thinner all around. There’s no trace of the bulges evident on VT70. In fact, I’d say it’s very similar to Nano9900 in frame size. Balance wise, this is a head heavy racquet, but certainly not as heavy as the other high-end Voltrics. I’d say this is very close to the weight on Armortec 900 Power although wouldn’t say the weight is all at the top. Potentially it could be a good alternative to AT900 T. Balance is very similar to Voltric 7 however it’s a slightly heavier racquet due to its 3U grading compared to 4U on Voltric 7. This racquet has a medium flex shaft this time which will certainly suit good club and league players. Maximum recommended tension on this racquet is 24lbs which appears to be a typical feature of Yonex racquets. I always test racquets straight out of the bag. Surprisingly the tension on this racquet felt considerably tighter than usual and as a result, it played so much better. Tension wasn’t too tight that it could hinder club players or those playing with plastic shuttles. However, if this is the standard stringing for this racquet, most players wouldn’t need a custom restring. The racquet is strung with Yonex BG55 string which is a little thicker than I’m used to, but still played very nice. I tend to favour head heavy racquets so there’s no surprises that this racquet played very nicely. Despite the smaller grip size which I have been accustomed to, I really enjoyed the racquet. The extra string tension really contributed and I felt it played better than Voltric 7. To be honest, there’s not much difference between Voltrics 5 and 7 except the materials used in the racquet head. Balance and feel are similar. In the power department, clears were effortless and I really felt that I was getting a strong positive response from the racquet. The slightly increased string tension certainly made a difference here and makes me wonder how much more I could get from the racquet if strung in my favourite string at my usual tension. I expect the racquet will deliver a lot more. As I commented with Voltric 7, you can still feel the weight in the head however, it’s noticeably lighter than VT80. There isn’t the power I experienced with VT80, however, let’s be fair, this racquet is a third of the price. And, I can’t generate three times the power from a VT80 which may influence your buying decision if you’re considering a new Voltric. Whether I played clears, drops or smashes, this racquet was on the money every time. I really love the weight in the head. It’s not too much for most players, and certainly generates enough speed to satisfy more defensive styles of play. So, what else does Voltric 5 have to offer? As usual I asked Mark to thunder a few smashes at me to see how the racquet coped in defence and flat rallies. The slightly lighter head really came into play and demonstrated superb speed whenever I required it. The weight in the head still gave me enough meat to hit with and feel the direction of the racquet but it certainly wasn’t a hindrance. The extra string tension helped here in repelling the shuttle faster and despite a number of defensive shots in succession, there wasn’t that feeling of tiredness that can so often hit a player. Although I’m not particularly a defensive player, I felt that the racquet would suit this style of player and provide a bit more meat into drives and a more positive feel on the stringbed for touch shots. Onto the net, and as expected, the racquet was great, no issues to report here. It was crisp, it was fast, it was controlled, despite the lower tension. 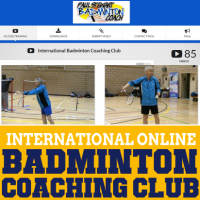 We did a lot of net kill exercises in the coaching session that evening and I felt confident to have a go at the tightest of feeds and the racquet delivered without any feeling of it being head heavy or slow. Having already sung the praises of Voltric 7 I have to say that I enjoyed Voltric 5 even more. I do believe this was purely down to the higher string tension. In my opinion Yonex have far too many racquets in their range and this creates more confusion rather than answer player’s prayers. I’ve tested all of the racquets in the Voltric range now. I understand the difference between VT80 and VT70. However, I can’t see enough difference between VT5 and VT7 (VT 7 head made of HM carbon) for the need for one of them to exist. It could be me, but based on my findings with this racquet, which could be slightly coloured by my preference on the weight and increased string tension, VT5 is a far nicer racquet than VT7. With an RRP of only £70, this is a better value for money proposition than Voltric 7! With online discounters you’ll probably pick one up for around £55-60. Having tested a lot of mid-priced racquets, this has got to be near the top of your list for trying. It’s a good looking racquet, performs really well in all departments and it’s a great price! So how do I rate this racquet? After careful consideration, I gave Voltric 7 a 5 star rating. My experience with Voltric 5 was better than 7 and therefore I have to give Voltric 5 the same 5 star rating and I’ll still stand by my initial rating for Voltric 7. Some players may want further advice regarding the differences between VT70 and VT5 or 7. It’s a tough question to answer because they feel different. There are such minor differences between VT 5 and VT7 and I’d be hard pressed to tell them apart if the string tension was identical. Of course, there are massive differences between these racquets and VT80. But, is VT80 worth three times the money? For most players VT5 or 7 will do the job for them in abundance and therefore they could purchase two or three racquets compared to one VT80. This could be the ultimate trade off for these players and I have to admit and I can see the reasoning behind it. If I hadn’t liked the VT80 as much as I do, then I would certainly select VT5 as my racquet of choice. As with all my reviews, they are based on my personal thoughts on a racquet. My likes and dislikes will not be the same as yours. Also bear in mind my technique, style, physical build and muscle structure are different so I will always feel a racquet different to you. To sum up, if you’re looking to spend around £70 for a new racquet, and you want your racquet to pack a punch and yet still be quick in defence and around the net, then this racquet has got to tested. 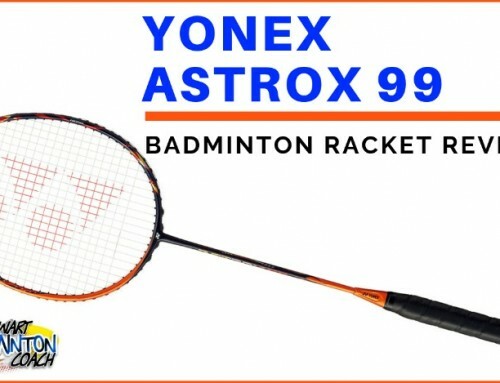 I think it’s the best in Yonex mid-priced range along with VT7. Watch out because Voltric is going to make a huge impact in badminton. Thx for great review on VT5. Im from indonesia and for quite some time have been interested in getting one VT5. The problem is VT5 quite old model right now, and more effort is needed to find a new VT5 nowadays. So i have moved my interest in VT5 to its succesors like VT5 FX, VT7 DG, VT10 DG. I have read one or two of your comments in badmintonbay’s forum stating about your plan to review the DG series, after duora 7 review. I have found duora 7 review, but The problem is i havent found the DG series review. Can you give me some enlightment on the DG series? Is it the perfect replacement for VT5 and VT7? I have tried to find reviews for DG series in other forum, but not yet satisfied with that. DG series reviews will go live soon and most likely GD7 goes live next week. They are both stiffer than 5 If you like a medium flex then look at VT5FX or VT7. I wouldn’t sat DG series is a perfect replacement for the 5 because of its stiffness. I bought VT 5, i am wondering there is 4 knot which means they used 2 strings to stringing the bat. using for 1st day itself got hand 2nd thing i am getting hand elbow pain. also i can feel the vibration in my hand and weight of the shuttlecock. you’ve changed from a head light to head heavy racket. That’s a huge leap. The 4 knot stringing is unlikely to be contributing to your injury however the key is whether the tension is considerably higher. If you feel the tensino is similar then you may just need time to adjust to the racket. For now, I would suggest returning to your old racket or taking some time to allow your injury to heal. I’m thinking of adding extra Grip, will it behave same? VT5 is a good racket. It could be that the string tension is not suiting you. Test and hopefully you will find a way and enjoy the racket. I wanted to get a head heavy racket and I don’t know whether to get the Voltric 5 or the Voltric 7. I have read somewhere that the Voltric 5 is a bit head heavier than the Voltric 7 and don’t know whether this will make a significant different for my play. Recently, I have tried out my friend’s Voltric 70 and I noticed that I quite like the feel and weight of it (and my smashes were considerably faster than before). Which one would you say is the most similar to the Voltric 70? Check out whether you can both versions of each racket. In UK VT7 is only available as a 4U having always been sold as a 3U. I’ve had this question so many times regarding VT5 or 7 compared to VT70. In essence they are all different. Neither 5 or 7 play like VT70. Material composition between 5 and 7 is slightly different and balance too by a shade. So, if you are working to a budget then go with whichever is best for your pocket. This is Tejas from Pune, India. How are you? Would be great if you could shed some light on the comparison between the voltric 5 and the voltric omega pro. By reading your reviews, I can make out the the voltric 5 is a really good racket and would probably go for it. However, I am getting the Omega Pro at a very cheap price, so just want to know if there are any cons/inferiorities compared to the voltric 5. I cannot compare these rackets as I haven’t seen the Voltric Omega Pro never mind played with it. I have heard the Omega versions are generally a re-paint of another racket in the series. So expect a decent racket but I can’t say which version it will be based on. Got to test my new Voltric 5 today. It is my first decently priced racket. The earlier ones I used were belonging to the 10 EUR range. 1. Pricing: The price of this racket has come down considerably 3 years since its first model. The older models are of the same quality except as the new models, except for colour, but are available now for a much lesser price. I waited patiently for 3 weeks to order one. 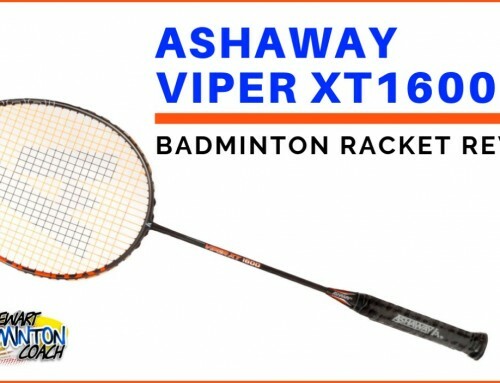 I searched across many websites, even across countries to get a good understanding of the bext price for this racket. The prices ranged heavily. Just when I was convinced about the best price, I found an offer from a dealer on E-bay about 30% less, exclusive of shipping. The same dealer had another offer for 54 EUR for Voltric 5, so my guess is this the difference is for 2011 and 2012 models. At a later point, I even realised that if I ordered directly from the dealers website (which I came across only after ordering), I would have got it for even 44 EUR, so the assumption is the additional 3 EUR is for E-bay commission. So recommendation is, if you have time and want to save some money, spend some time on research. 2. Now, the quality of the bat. Absolutely, agree with Paul’s review. It’s head heavy, yet easily movable. The control is amazing. I could do my serves just as I had imagined. Got the right height and distance each time. For the power generation part, the power depends on the timing. One also needs to have good toned arms to get the best out of this racket. If you time your shots well, the shuttle travels. Some of the flat shots hit just above my eye level went like rockets. However, if you don’t time well enough, this could end up in weak clearances which the opponent can easily kill. Some of the loopy overhead shots I hit didn’t travel the distance I wanted, perhaps because of the reduced timing factor. It’s certainly not a powerhouse like some of the higher end and stiffer rackets, so don’t expect a miracle to save you when you play a poor shot. On the positive side, you wouldn’t expect a good shot to end up outside the court. Overall Summary: Perfect racket for the intermediate player. Absolute control and reward for quality shots. It forces you to develop a good technique, coz that’s where your points will come from. Hence a good recommendation to develop your game with before moving for the faster rackets requiring more control. I am an intermediate player trying to improve. I am shopping for a new racket since my MP 808 broke last weak. I liked my 808, but want to go up a (or some) notches. I am an all round player, with occasional smashes when I get it good. I read your review about voltric 5 and victor BS 168 (some body wrote 168 is stiffer than 169). I like both of them. Kinda confused between them. Which racket is comparatively stiffer, head heavy , smash power, and faster at defense, in your opinion? Other options ? Sometimes you can go around in circles trying to decide which racket is best for you. Have you read my article on choosing a racket? If not, please do as the answers could be in the article and help you make a fast decision. Good luck and please let me know which racket you choose. Thx for the reply. The choice was easy. I just can’t find a victor BS 168, since they quit producing it. I am going for the voltric 5. I just wish we had more clubs here in my state, Oklahoma, USA. 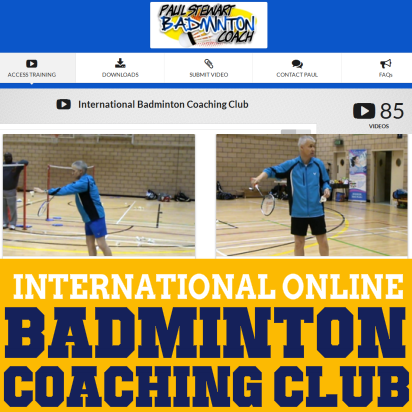 I need to take some coaching and the only thing I can find is yourself and coach lee on youtube and trust me, I am making use of it to the best I can. Here the only badminton folks know is backyard badminton. I almost want to move to california just beccause there are more clubs and trainers there (ya right, if my wife would come with me). Thanks again paul and I might jump in here occasiionally for some advice. I am tall (6’3″). I am beginner in Shuttle badminton. I used to play both smash at times and drops around net. Since my height is advantage i use to smash when the feather is right on to me else i will be just clearing and drop’s feather to opponents court. I feel ok when i am playing with Yonex Muscle Power 800 but still i have not owned any good racket for my play. Can someone suggest me whether voltric 5 will suit me? Thanks and awaiting for your response! Ask your friends if you can borrrow their rackets first and gain more experience playing with different rackets. Then you will have a better idea if a head heavy, medium flex racket may suit you. I’ve been playing with VT5 for sometime now(2 months) and I’m dissapointed to find out that my smashes aren’t as fast & powerful enough as it used to be no matter how hard I hit it compared to my previous racket(fake VT70) or Carbonex 6000 plus, although my control improved. Can you let me know why?? I’m planning to string it with either BG66UM or BG80P so what difference is ‘medium or hard feeling’ going to make with my gameplay?? Could you recommend a string tension for me based on factory strung tension of the VT5. A stringer told me that my prevoius racket’s tension was at around 18-19lbs. I usually play with nylon shuttles. Daily for 2-3 hours. The reason your VT5 may play different to a fake VT70 is that the fake may be more flexible and it could be you suit a flexible rather than medium flex shaft. I don’t know how you will feel each string so the only person who can say how each string plays is you. Yonex rackets are factory strung around 20 lbs. Personally, if you play with nylon shuttles I recommend 20/21 lbs is maximum, however you can test slightly higher but not much. I have chosen Voltric 5 as my final racket, but I do not know what tension to use to string the racket. What would be a good tension for a regular club player for the voltric 5? This depends on the type of shuttle you are playing with. As a guide if you use plastic shuttles go for 19/20lbs tension. If you use feathers, then up to 22lbs should be fine. I know there are many who will disagree with me, especially those players from Asia who use very high tension. However, I’ve 25 years stringing and coaching experience to base this on and know what happens when regular club players in general have their rackets strung at very high tension. I’m an intermediate badminton player, and 14 years old, and my playing style is usually attacking but sometimes I play defensively too. I have been using a not very popular Hi-Qua 2070 racket for the past 7 years, and I would like to change racket. It is a head light racket and I have never used a head heavy racket before, but my friends say I can smash very well with the Hi Qua 2070, but I think I lack a bit of defence. After 1 week of research online, I came to a conclusion that I may buy the Voltric 5 after I read many reviews and found a good offer for it on amazon for £47.99. How heavy is the Voltric 5 when you play with it? My arms are slightly weak but only slightly. I have never used a head heavy racket before and I am concerned about it being too heavy for me to handle, (I play mostly singles though) Would I not get used to it after playing with head light rackets the my whole time? Or is it lighter than I think it is? I found that with the Hi Qua 2070, and normal conventional rackets, I had difficulty clearing the feather shuttle from my rear court to the opponents rear court, the shuttlecock seems to drop in the opponent’s mid court, and I seem to be clash the frame of the racket with the shuttle quite often when doing drop shots, though I am not sure if this is the rackets problem or my problem. So far, the Voltric 5 seemed to be the perfect racket for me (Other than the fact that it is head heavy, but then again, I have never tried a head heavy racket before, and I might like it, might not), or are there any other yonex rackets which would be suitable for my style? I also tried to find a mid range nanoray/ arcsaber racket, and I found the Nanoray 80 and Arcsaber 008DX, but according to forums and reviews, many players preferred the Voltric 5 more than the Arcsaber 008DX due to Voltric 5 being more head heavy and having more power, so I think now it is just a decision between the Nanoray 80 and the Voltric 5. My friends told me to find a demo racket store so I can try out the racket, but there are no local badminton stores nearby, so I have to buy it online. Would the Voltric 5 be ideal for me? I have read your review of it and you mentioned clearing it into the opponent’s rear court and smashes were effortless, and drop shots were also good. 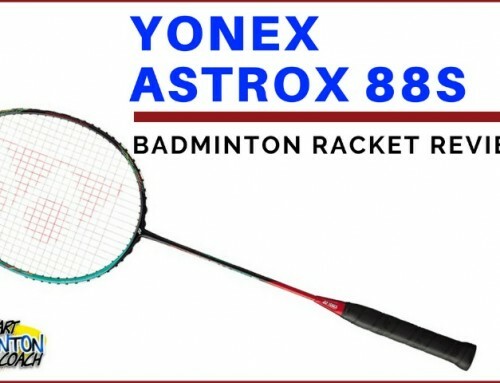 I would also like a stronger smash, which the Voltric 5 seemed to be capable of according to many reviews too, or would the Nanoray 80 be more suitable for me as I have only ever used head light rackets and it would be easier for me to get used to? Even though I like playing singles more and play it mostly, I do occasionally play doubles too. What i suggest for now is to spend your money on coaching. Have your technique scrutinised by a good coach and they should be able to solve your technique issues. Also, look at my video section. I suggest you begin working on the armchair exercises and see what results you get. When you have solved these problems you may find that you don’t need a new racket, or perhaps another racket will continue to enhance your play. Hi Paul, I’ve recently bought a Voltric 3, it’s my first Yonex racket (my first racket of any top brand for that matter). On the first several swings I realized that the racket is rather “draggy” and not very aerodynamic. I’d like to ask is this the case with all Yonex rackets? Thanks for answering and best wish to your games and coaching! No, this is not the case with all Yonex rackets. Each racket will have a different feel and this is also true of every other brand. At the end of the day, you need to give it some time and adjust to it. im using Armortec 700 now, and its very effective to me, and i like top heavy rackets, i do smashing a lot. would you think voltric 5 is much more the same with Armortec 700? and im eyeing at voltric Omega too. what can you recommend? which is better, voltric 5 or voltric Omega? im a player who likes power with my smashes. big thanks! I haven’t seen Voltric Omega to comment. Voltric 5 will not be as stiff or as head heavy as AT700. I think you need to borrow a few Voltric rackets to find if you like them compared to Armortec. I want to improve my game. My age is 14 and i am playing badminton from around 2 years.I have yonex voltric 5.
which shuttle should i use to improve my game ? (plastic or feather). please tell me which is good for me and for improving the game. If you are serious about improving your game, then feather shuttles are the best. Buy according to your budget rather than brand names but make notes how many you are using as cheaper brands can work out to be expensive if you use more shuttles in a session. If feather shuttles are too expensive, then cork based nylon shuttles are you next option. Make sure you get the correct speed. I don’t bother with such scores from other players. At the end of the day you need to test the string for yourself. You either like it or you don’t. You can spend ages reading through reviews, even mine, but the only person who can make a decision is you. If you get it wrong, learn from it and move on. Which has more head weight, the voltric 3 or 5, Will you do a review of the 3 soon? Also how does string tension matter?, is it good to increase it or decrease it, and also width of the string too? If you are new to the game, then there won’t be much difference between the two rackets you mention. I have written plenty of articles on string tension and there are also lots more on the forum so have a read and make your mind up what to do. At the moment I have no plans to review another racquet. I may get around to reviewing the latest Yonex Nanoray 800 when they are released in UK, but aside from that I now wish to focus on writing articles when I get the time. How long does the grip tape need to be for the Voltric 5 to Wrap it around Completely? I’ve no idea how long the grip tape should be. Test and measure is the only way to find out. I’ll leave that to you. String choice is as personal as choosing a racquet. Decide whether you want durability or touch and then go with the string that offers it. You then have to test which tension suits you best for this string and your current racquet. The string and tension combination should be your starting point when you get a new racquet. With so many series in yonex, is there a general guidelines as to what series I should be looking for a specific style of play? For example, if I want to choose a racket for all round play, which series of rackets I should be looking at? Thank you for a great site!! There is no such thing as a certain type of racquet suiting a particular style of play. Every player has different likes and dislikes and should therefore choose according to what feels right and best suits their positive and negative traits. Both the VT 5 and VT 7 were reviewed. How about the VT 9? I’m planning to buy one of these but not sure if the VT 9 is worth buying. I heard it’s the most head heavy out of the three and has an extra sound filter. What does the sound filter actually do? I haven’t had the pleasure of testing VT9 although have held one. VT9 is stiffer than VT5 or 7 but I don’t know whether it is more head heavy. Don’t think about the sound filter. It doesn’t make you play better, hit better or scare your opposition. As far as I am concerned the sound filter is nothing more than a marketing gimick. Sorry I can’t be any more help. Hi Paul, I am looking to buy a new racquet, here’s a list I am considering: Voltric 3, Voltric 5, Arcsaber 2, and Nanospeed 100. Can you give me any suggestions? I prefer a slightly head heavy racquet with medium-stiff flex. Thanks Coach! If you prefer slightly head heavy then you are in-between Arcsaber and Voltric series although Voltric 3,5,or 7 are not that head heavy and probablhy would be favourite in my book to meet your requirements. It’s always best to test a few rackets in case your preferences change when you find something you like. 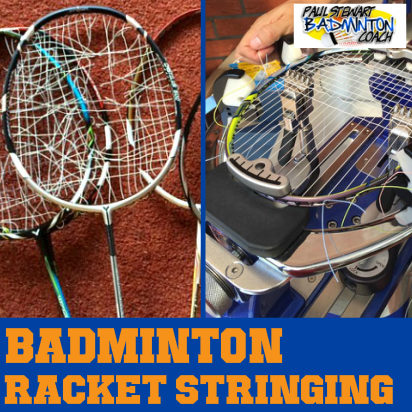 Ask your friends or any other badminton players to test their rackets to give you a better feel. I can afford to these ranges. Most, if not all of these racquets should perform well. Sorry but I will not advise which racquet you choose, you have to learn to do that on your own. Read my article on choosing a racquet. Would like to seek for your advice. Currently I’m having fun with my Carbonex 35, which I found this racket is very good and solid. But just slightly not as fast as other aero shape racket. 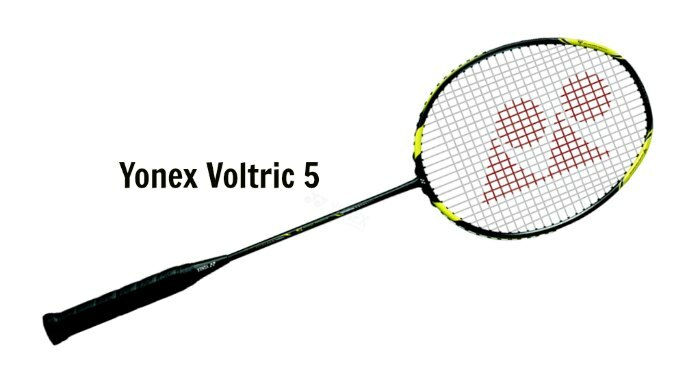 Do you think the VT5 would be a good choice to provide the solid feel, controlled and fast racket? Previously I had tried AT600 4U before, a head heavy racket, and found the head heaviness does affect my play which sometimes i feel difficult to return smashes. After AT600 i change to Cab35, as I have always use Cab racket, so I think Cab35 would be a good choice and it turn out to suit my style of play very much. But now I thought of buying a medium range racket to seek for something similar as Cab35 but with slightly faster head speed and slightly more punch. Do you think VT5 would be a good choice or any other choices that you would suggest? I really can’t say. PLease read my article on choosing a racquet and then you may have the answer you are looking for. But now I thought of buying a medium range racket to seek for something similar as Cab35 but with slightly faster head speed. No doubt you’ve read my article on choosing a racquet and have weighed up the answers to the various questions raised. If not, I suggest you read it. Have you looked at my armchair exercise videos? They will help you develop the muscle groups to generate more racquet speed. I suggest you try these first before considering purchasing a new racquet. Great site and love the reviews. Just wondering if you will be reviewing the Voltric 60 and the Voltric 9 and 3 when they come out? My current racquet is a Muscle Power 99. So head heavy and stiff frame much like the Voltric series. Would the VT5 be a logical upgrade for me? I may review the newer Voltric racquets over the next few weeks if they are available. With regards to your question over MP99, from memory this was a super stiff racquet so why are you looking at medium flex racquets? At the end of the day you need to test or borrow before you buy. That is a good point. Perhaps the vt 7 may suit me better. But will wait and see if the newer voltrics come out in march. Have you checked the specification on VT7? It has a medium shaft like VT5. If you believe Voltric is the correct range for you then you will need to consider VT9 (due out soon), VT80 or VT Z Force (due out soon). At the moment I can only comment on the quality of VT80 as I use this model. You can also check my review. At some stage I expect to review VT Z Force and VT9 but can’t say when this will be. HI,Paul which is the best badminton racket in Yonex? There is no such thing. Please see my article on choosing a racquet. If you are looking to buy the best racquet for you, then the one you choose is the best in the Yonex range for you at this moment in time. I’m very new to the site and I have to say I’m really impressed, especially with your reviews which are comprehensive yet concise. I will definitely be subscribing to your blog! I’ve been playing badminon regularly for a little while now but I’ve only just started trying out different types of racket to my current even balanced, stiff, 4U Wlson V10 which is my first and only racket, having bought it cheap from a friend. At a recent club session I tried one of the coaches’ Carlton Vapour Trail Elite, which is a 3U head-heavy racket. I loved the power it added but found it a bit slow and cumbersome to wield, especially in defense. After a lot of online research I’ve narrowed down my list to the Armortec 50 & 70 and the Voltric 5 & 7 after having read your reviews of all of them. Please could you give me your thoughts on these rackets (don’t worry, I’m not asking you to recommend one specifically for me!). Many thanks for your kind comments about my website and for your question. From the racquets you’ve chosen all are very good head heavy racquets. Armortec 70 was a very popular racquet and it’s a good buy if you can find one because they should be pretty cheap now. Personally i would choose 70 over 50 because it’s been so popular. VT5 or 7 are outstanding racquets and great value for money. i understand 7 has outsold 5. For me there isn’t much between them. VT7 has better quality materials and a slightly different feel and balance point, but it’s marginal. I really liked 5 over 7 but again, that’s my personal preference whereby the sales stats obviously suggest otherwise. That’s all I can say really. Test if you can. By the way, have you tried my armchair exercises? If not you may find them really useful to overcome a head heavy racquet. Thanks for another awesome review! with the same balance and tension limit as this one but it was from another brand. I was wondering how much weight it has on the head? My racket has a head that was to heavy for me that I lose control of the power that I am putting. I was thinking of buying it this weekend.. Does it has that much weight? Many thanks for your question and comment. I don’t know a way of measureing the weight of the head alone. All I can suggest is you find a player who has the racquet and will let you test it against your existing model. I was trying to select a new racket after using a Head metallix superpower for four years, I decided on a voltric . This review really helped me in choosing between the VT7 and VT5. In the end I chose the VT5 I love it but find some inconsistency around the net. I have it strung with yonex BG66 ultimax I have load of power just as you said. I don’t know what you mean by inconsistency at the net. Perhaps this is more down to getting used to the racquet as it’s very different from Head Metallix. Thanks for some great Reviews! 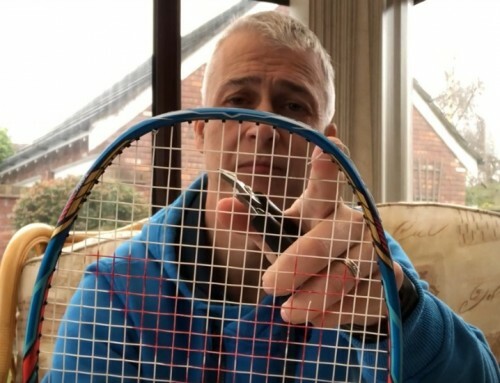 I have decided to get a vt5 as my new racket, however I have been offered a free string and tension upgrade, I am a quite good standard of player but do not play in proper competitions anymore, only freindly games etc, and wondered what string you recommend I get? I want something that wont wear out too fast as I only play a couple of times a week and dont want to spend more money on multiple string changes every few months. But obviously as its free I would like to get the best peromance possible out of it! I would suggest you look at BG65Ti. I assume you already know what tension to ask for. No doubt you are buying from Direct Sports. Thanks for your excellent review on the VT5.I would like your advice please. I am an intermediate player and am an aggressive player. I like to smash but also like to drop shot. I have been using the Arcsaber 10 for just under 2 years now. But have damaged it this week in a racket clash. I am in the market for a new racket. The Arcsaber 10 has served me well and i liked the way it performed. It gave me the ability to smash the shuttle hard but also allowed me to play new shots. It gave me power when i needed to and i liked the way i could power my shots. Also, it almost felt that i could increase the power of the shot, which would result in the shuttle flying past my opponent, even if they were ready for the shot. Would you say that the VT5 is a good alternative for the Arcsaber for someone on a budget? I cannot afford the new VT70/80 and am looking at the budget alternatives. I want a racket that is powerful for smashes but also flexible. Also, what are the difference between the arcsaber and Voltric series? I have also noticed that arsaber 10 shaft is show as stiff and the vt5 as medium. Is there much of a difference? If you really love Arcsaber 10, then why not buy another one? VT5 will be very different. It has a medium flex shaft and is head heavy compared to a stiff shaft and is more even balance. It’s best if you borrow a friends racquet first and see if you like it, otherwise you are taking a massive chance. I have said so many times that I can’t recommend what suits a particular player. Your style, technique, badminton experience, physique and muscular structure dictate that nobody will feel a racquet the way you do. Only you know what you like and dislike. Anyone recommending a racquet to you is making a very uninformed guess based on their experiences. So, be careful or you may purchase a racquet and regret it. Let me know what you choose. I am in the market of a new (Yonex) racket. I play regularly (4-6 times a week) and I play in both league and for my county. I am currently using the Yonex Arcsaber 8DX (stiff/extra stiff flex with even balance). Hopefully, you could recommend a few rackets for me. The lower end V-Series (VT5 and 7) appeal to me as I can’t really afford the higher end ones. However, do you know anything about the new range, Nanoray? I play a lot of doubles and I consider myself an all-rounder player..maybe more attacking than defensive. Readers of my blog will testify that I don’t recommend racquets to players. Why? It’s simple. Your technique, style, badminton experience, physique and muscular structure are different to me and every other player. Therefore, nobody can accurately advise you regards racquet choice, except you. Only you know whether you like or dislike a racquet, whether it plays better or worse for you. I can say VT5 and 7 are brilliant racquets. I nearly chose VT5 as my racquet for the year despite my love of VT80, but VT80 was just that good for me. I haven’t tested top end Nanoray models yet, only 80. It was OK but was more head heavy than I expected it to be. At the moment I’m not sure what the new Nanoray is meant to be. It is badged as a fast racquet, probably due to its widebody frame, but after that the marketing is pretty poor and doesn’t really differtiate from Nanospeed. Hi Paul, Greetings! Wish you a very Happy & Prosperous New Year 2012. Coming to my query now after reading your review on Nanospeed 300 I thought of getting it but eventually purchased Nanospeed 850. with BG65Ti strung at 25lbs; I have been playing with this for 1.5 yrs and off late I feel that it is not suiting my game (I could be wrong here). I’m good at defense. I would like to improve my attack and net play. I know I should improve my skills but I would really really appreciate if you would suggest a good racket for me along with the strings. Nobody can suggest the right racquet for you – except you. 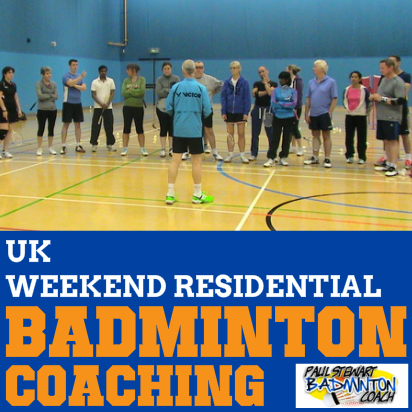 We all have different technique, style, badminton experience, physique and muscular structure. There what feels good to me may feel alien to you. All I can suggest is that you try a few racquets, maybe take a look at even-balance racquets rather than head light and see if your attack improves without losing too much on defence. A few coaching sessions will improve your game and it could be that the coach spots something in your technque that will help you find additional power in your attack. For most players my advice would be to invest in coaching over a new racquet as the return is so much greater. Also, a few coaching sessions may make such a difference that you then feel you need a completely different racquet than the one you would have chosen before. After reading your review on Voltric 5 I would like to get that one. Can you please suggest if that would be good option? Or can you please name a few even balance rackets. Once again Thank you! Really appreciate your great work. Generally Yonex Arcsaber range is considered even-balance. VT5 is a very good racquet, but as readers of my blog with confirm, I cannot say whether the racquet will be perfect for you – nobody has that right except you. Paul I wonder which one would you pick Arcsaber 009DX or Voltric 5 or Armortec 70 MG and why? I’m an All round – Offensive player, I like stiff racket (I prefer not too stiff) and heavy head racket , For the racket weight I’d go for 4u or 3u. If I was selecting for me then I would choose Voltric 5. It’s fast and has the weight in the head I prefer. I can’t suggest a racquet for you Yosi because we are so different. I receive requests like yours 4-5 times a day. My style, technique, badminton experience, physique, muscle structure are all different to you and everybody else and therefore what I like/dislike in a racquet and how I feel a racquet will be completely different. So, it’s really impossible to select or advise. All you can do is decide which characteristics you like in a racquet and try to match them with current models. e.g. do you like flexible, medium or stiff shafts and do you prefer head light, even balance or head heavy? You then look for a racquet with the right combination for your budget. Let me know which racquet you choose. Really helpful reviews. My favourate racquet is Kason TSF-300D which is medium stiff, 3U, 675mm +/- 1mm long with the balance point between 285-290mm. This racquet is breaking very soon (I cracked it at the top) and I am thinking about getting two new racquets from Yonex (I can’t get Kason racquets in Australia at a reasonable price). With my Yonex racquet experience, I liked Nano Speed 7000. In your opinion, which model should I get? VT5 or VT80/70? Thanks so much for your help. PS. I tried my friend’s Nano Speed 9000 (I think it was the defensive model), quite liked it, but didn’t enjoy Nano Speed 9900 (also Arc 9 & 10 are not really for me either.) I typically using BG 80 (or BG 66) with 23/24 lbs. The fact you don’t like the top end Nano racquets suggests that stiff racquets do not suit your game. This would possible rule out VT80. This therefore leaves VT5, 7 or 70. My concern is that you haven’t tested any Voltric therefore if you looking to take a chance on a racquet the cheaper option is the safer bet. In this case this would be VT5. I thought 5 and 7 were better value for money, hence my 5 star rating on these racquets. Let me know which you decide on. Thanks for the review Paul! Firstly let me introduce myself. I’m an amateur beginner-intermediate player in South Korea. 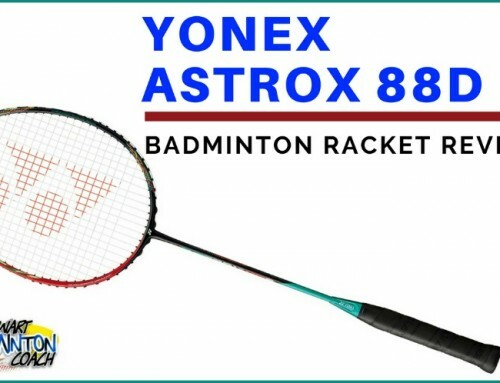 I played badminton at my local badminton club every morning for around 60-90 minutes Mon-Fri. I’ve been using Yonex MP 22 and 33. I broke my back-up racquet (Yonex MP33) last week after clashed with my partner’s racquet during a game. I was looking for a replacement racquet and came across your review for the Yonex Voltric 5. I’ve got a feeling VT5 is the racquet that I want to try, and I bought the racquet straight after reading your review. Bought the VT5 3U weight and G5 grip yesterday and strung it with BG80 @25lbs. Tried it this morning and I’m very impressed with this racquet. Everything that you said on your review were spot on. I’m gonna get another VT5 real soon for my back-up racquet. Thanks for all your reviews and expertise! Many thanks for your comments and good luck with VT5. Thanks for your review Paul. I’m an amateur/intermediate player in Australia – play at a club weekly but really enjoy it and keen to improve my game. After years of using $20-30 (Australian) entry-level racquets, I “upgraded” 2-3 years ago to a still cheap Yonex MP24. Finally looking to get something a fair bit nicer and thanks to your review have opted for the VT5. I don’t mind a bit of weight for touch shots and the VT70/80 were pretty well out of my price range. Picking it up this afternoon custom strung with BG65Ti @ 23lbs at a little under half the price of a VT70 – can’t wait to try it out. Thanks for all your reviews and expertise! I hope you really enjoy your VT5. Hopefully we’ll see you on the forum too so we can plot your progress and answer some of your questions too. Got mine re-strung to 23lbs with a Yonex BG65Ti and I love it. I’m more of a fast paced player, driving/smash, so I wonder if I can get even it to a higher tension (25+ lbs). It is wise to test string tensions to find your optimum combination. However, make sure you increase by 1lb at a time. Please tell me the best string to use in voltric5. I don’t believe there is such a thing as the best string. There are many very good strings on the market and players decide which they prefer to use. This is sometimes limited due to sponsorship arrangements. My top 3 strings are Yonex BG65Ti, BG66 Ultimax and BG80. They each have different characteristics in terms of feel and durability. I’ve tried many other strings and some are close to my favourites – but close isn’t good enough. You do need to test various strings to find the string and tension which best suits you. Every player is different so you have to find this out for yourself. It would be wise to make an arrangement with your stringer so they give you discount on the basis you are testing. This can take some time so I suggest you begin with the three strings I prefer. When you find the string you like best, then test tensions until you find what gives you the best playability. Whenever you test another string you can compare to your favourite combination of string and tension. I expect the VT5 will have a marginally weaker frame than VT7 because of the difference in compostion. However, I haven’t heard that the frame is weak – which I doubt anyway. If a player decides to have their racquet strung at high tensions beyond the manufacturers recommendation, then expect the worst. But I heard about the Voltric 5 that his frame wasn’t really durable due to its material quality. Is that true? I have a question. I’m still searching for a replacement for my Armortec 600 and I thought of the Voltric 7 and Nanospeed 850 but when I saw this review the Voltric 5 is now also on my list. Do you have a suggestion? I think you’ll find Voltric range will fill the gap for you. As you can see I’ve liked all of these racquets and my personal preference is for head heavy racquets. Having played with AT600, it’s almost a case of trading equal and going for VT5 or VT7 or trading up to VT70. If it’s any help, I’ve recently asked two others to test the VT5 and VT7. Every player chose VT5 including me. The extra weight in the racquet just felt that little bit better and no-one could tell the difference in flex or head weight (if there is one). That’s all I can offer. Just a tip, if you want to know “how” head heavy a racquet is (I agree a bit amteuristic, but at least you have a mathematical reference): use a large kitchen knife and hold it on the kitchen sink with sharp side up. Gently place your racquet with shaft on top of it, and move the racquet until you’ve found the balance point (patience is needed here). If possible, place the comparison racquet beside it (that’s why the large knife is needed), or try to measure the distance from grip to balance point, or from head to balance point. It’ll give you an idea if there is any difference in head heavyness, and how much that difference is. Never heard of this method. Word of caution – this should only be done by grown ups! Don’t worry Paul, this is plain mechanics. You need something thin enough to enlarge the accuracy of your measurement, and a knife blade is just right for this. But an image says more than a 1000 words, I’ll send it to you.